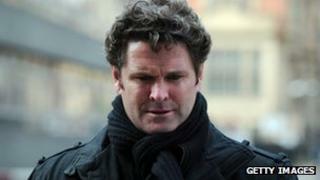 The former New Zealand cricket captain Chris Cairns has begun a UK High Court action for libel damages over an accusation on Twitter that he was involved in match-fixing. Mr Cairns is suing Lalit Modi, the former chairman of the IPL, the Twenty20 franchise in India. Mr Cairns's lawyer said that the comments had tainted his client's entire cricket career. Mr Modi has insisted his claim that the all-rounder had been involved in fixing the results of one day games in India was justified. The tweet, written in January 2010, was picked up by the cricket website Cricinfo. It withdrew the article and issued an apology when Mr Cairns complained. Mr Cairns had a distinguished international career, notching up a rare achievement of taking 200 wickets and scoring 3,000 runs in Test matches. His counsel, Andrew Caldecott QC, told Mr Justice Bean, who is hearing the case in London without a jury, that the allegation was "wholly untrue" and a very grave libel which would, if uncorrected, destroy all Mr Cairns had achieved in the game. "Be in no doubt that to everyone who hears it, Mr Cairns's entire career is tainted." He told the judge: "Preserving the integrity of any sport depends as much on vindicating the falsely accused as it does on convicting the guilty."